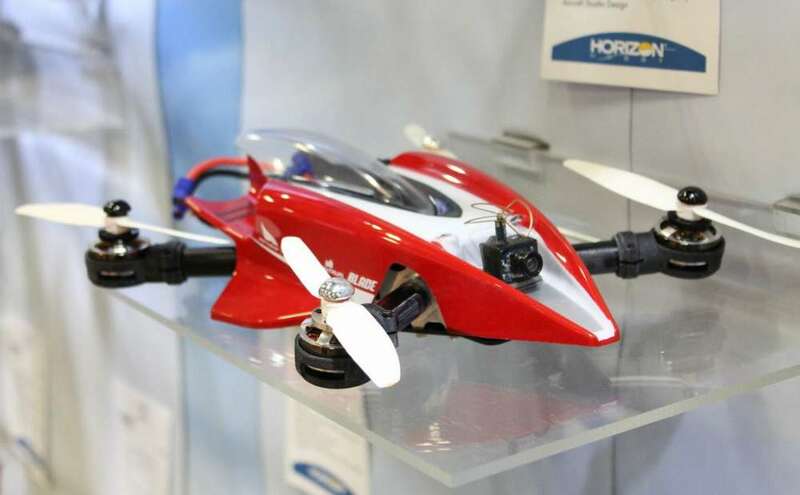 250 size quads are quickly gaining popularity for FPV racing. They offer a quick and nimble platform that cranks up the thrill levels to maximum when the goggles are strapped on. The all new Mach 25 FPV Racer from Blade packs all those qualities, plus it looks killer with its full wrap canopy that looks like something out of Blade Runner. The BNF Basic model is prepped and ready to be bound to any DSM2/DSMX compatible transmitter. After that, the end user only needs to charge the included 1350mAh 3S LiPo and it’s off to the races! 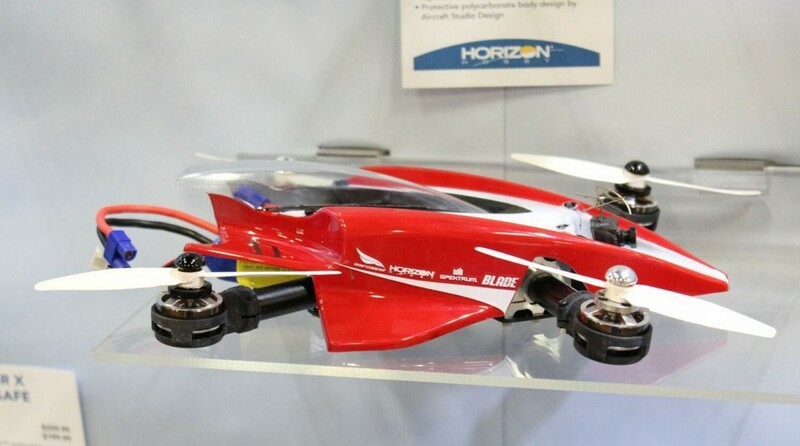 Horizon hopes to have the Mach 25 out by mid-summer, but we caught these spy shots in their booth at the Toledo Show put on by the WEAK SIGNALS flying club in early April. Previous DJI Phantom 3 Professional and Advanced Released!